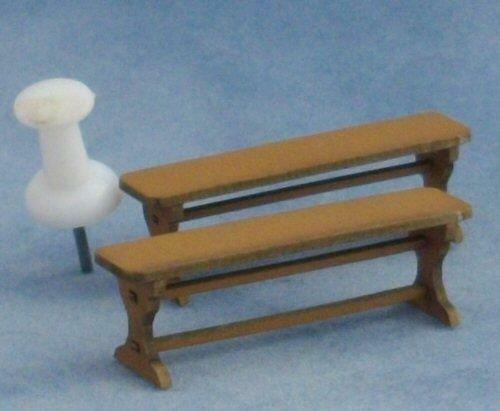 This is a kit for two benches, suitable for a 1/48th scale miniature dolls house. Can be used with the farmhouse table. 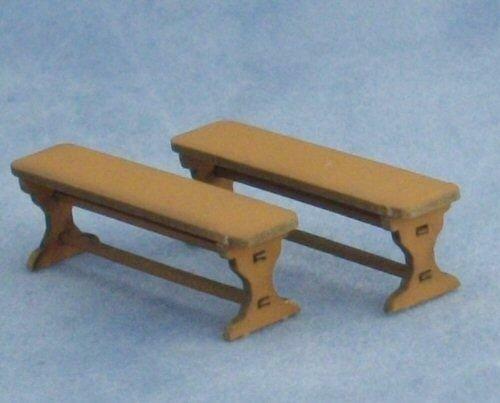 Benches measure 33mm long x 8mm wide x 11mm high.